One I don't listen to anywhere near enough... FLY ON THE WALL album, on my new headphones whilst I bumble around Chester. TAME THIS ANIMAL, HELP ME TO BREATHE! Oh yes! Their most under rated album. AYE AYE OH indeed. That album could've been a contender with a little more thought in some of the song writing and some production. Any production in fact. The Answer - "Live at Planet Rock Xmas party" was my trip to work music. One of the best "modern" bands in my opinion. Posted By: Pod That album could've been a contender with a little more thought in some of the song writing and some production. Any production in fact. Good call. They're gracing my ears next. Radiohead - Karma Police at the moment. Second only to "If you want blood" as far as live albums go in my book. And their reunion and performance of it at the Astoria in the '90s was probably the second best gig I've been to!! Pyromania. I was really getting into rock/metal when this came out and if I had any lingering doubts, Pyromania sealed the deal completely. "Hot Cakes", The Darkness. DERIDE ME. That song is sick, I love that Powerage homage cover art too. Great album. Scorpions and Blackout in the car this morning. Superb album, another one that really inspired when I was finding my way musically. Lovedrive for the way home. "another one that really inspired when I was finding my way musically". In 1978 I discovered AC/DC, Scorpions, UFO, Ted Nugent, Judas Priest, Motorhead, Thin Lizzy, Van Halen, Whitesnake.....I could have survived the rest of my life musically and been happy with those bands alone. For me it was AC/DC, Iron Maiden, Motorhead, Saxon, Thin Lizzy, Black Sabbath as the main contenders, and they are probably still my favourite 1/2 dozen bands. After that is was individual albums like Blackout, Pyromania, Long Live Rock and Roll, VH1, etc... that reinforced what those other bands had started in me. Did you discover all that lot at once? Posted By: azel Did you discover all that lot at once? Thanks, mate! I'll have a listen! IYWB, Denim and Leather, Fighting, Overkill, Heaven and Hell, were the first albums I remember listening to (IYWB being the very first) so I guess it was about '81. I got BIB for Christmas that year and was made up. I played that copy to death. Still got it but it's scratched to hell and the sleeve is well creased. TNOTB came soon after, probably my brother got it in '82 for his birthday which is the end of March, so it must have only just come out. I still remember sitting at the foot of my parents bed watching him open it and being blown away by the artwork. Seeing that cover, I knew straight off that this was a band I was gonna want to follow. After that I just raided his room whenever I could and played as much of his stuff as I could get away with. Then he turned on the radio on a Friday night, and things were never the same again. Yeah, I've just listened to that song, now; they sound very good. AC/DC were the first band and for a very long time the only band I got into. Everything else sounded weak and empty. Still does really. 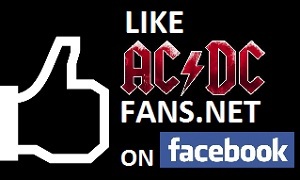 Posted By: Jem AC/DC were the first band and for a very long time the only band I got into. Everything else sounded weak and empty. Still does really. This evening, I have mostly listened to LTBR. God I love that tone. Beatles to floyd to a bunch of prog bands to zep to sabbath to stones to AC/DC Ages 3,6, 8, 11, 12 14, 15 then on came zappa and beefheart at 19. Co nsistency in keeping my interest just stayed with AC/DC and Beefheart, AC/DC obviously being the winner of the two. funny how I ended up with the rockingest rock'n'roll ever on one hand and the most brilliant bluesman ever. Oh, and MIss Nothing, Pretty reckless. I like bands with hot girls that can sing. So sue me. AC/DC Paris BIB tour 1980. Went on a bit of a trip in the car yesterday and had Eliminator ZZ Top blasting out most of the way. I forgot how great that album is. Not a duffer on there. Posted By: carlos fandango Went on a bit of a trip in the car yesterday and had Eliminator ZZ Top blasting out most of the way. I forgot how great that album is. Not a duffer on there. ZZ Top are another of my favorite bands,in my top 5 I'd say. I just can't seem to get really into ZZTop. I've seen them live and got four or so albums but for whatever reason I just seem to like bits and pieces. Probably need to make more of an effort.